If you are planning a trip to Ireland, whether for golf or for just seeing the sites, Fairways and FunDays is the only tour operator to consider. Look no further - these guys are the greatest! From my first contact with Phil O'Carroll in the planning phase of our trip, I knew immediately that I had made the right choice. You let Phil know what it is that you expect out of your trip, and he will make it happen - guaranteed! I could not recommend Fairways and FunDays highly enough. Joe, a very nice guy was excellent in advising me of all the possibilities open to me and gave me a great variety of choices of courses to play. Absolutely first class service - do not go to Ireland on a golfing holiday without making contact with "Fairways and FunDays" - you will not be disappointed! Phil O'Carroll (Managing Director) will personally respond to any correspondence or questions you can think of, usually with in hours regardless of what time it is. The customer service is like none I have ever experienced. It's a must do!Everything is meticulously taken care of for you by Fairways and FunDays, including hotels, transfers ( Mercedes Chauffeur transportation everywhere) excellent meals, golf tee times, sight seeing tour and anything else you can think of. (all included in the per person price - which was also significantly cheaper than I could put together on my own).Fairways and FunDays will accommodate anything you can think of and customize the trip any way you like. But if you don’t want to plan anything they also have packages already planned. I can't recommend Fairways and FunDays enough. We had an amazing friends and family golf trip to Ireland organized by Fairways and FunDays. First off, we had a very complicated itinerary of family arriving/departing on different days. Some golfing on part of the trip and some golfers on all 8 days. Phil and the F&F team could not have made this easier for us. Nothing was a hassle, everything was doable and the attention to detail was amazing! We played Portmarnock, Old Head, Ballybunion, all of South West Ireland’s favorites and my favorite...Tralee. Waterville is also a Gem. Phil provided valuable info ahead of our trip and helped out while on the trip with any questions or requests we had. In short, i doubt there is another tour company that could do a better job than F&F. Even better, the prices were the best we could find for the trip we wanted! Highly recommend Fairways and FunDays! Fantastic Courses, Beautiful Scenery and taken care of Brilliantly, The Golf Packages and Services were fantastic! Can't recommend Fairways and FunDays highly enough! Just returned from a week golfing in Ireland. Last October we contacted Phil O'Carroll at Fairways and FunDays and asked him to put together a "top of the line" package for 4 "type A" personalities all of which were retired from professional careers....and expected a smooth trouble free experience. When I read the testimonials from others I see comments like "superb", "outstanding", "incredible organization", etc to describe what we understand is "Ireland's Best Golf Operator".....and we now know why they have this distinction. Its hard to characterize our experience any better than others have other than to say the four of us had a "spectacular" week of golfing on "challenging and awe inspiring" golf courses and staying at 4+* hotels. Phil and Joe did a great job of asking us many upfront questions to determine the right itinerary for us and was patient with our several changes. He walked us through the entire process from beginning to end and we did not experience any unforeseen challenges...."a smooth trouble free experience"!! We were met at the airport by Joe who again explained our week and sent several emails to ensure our expectations were being met and provided his personal cell and email in the event we had any issues. He surprised us when he showed up at the signature hole at Portmarnock Golf Club and again this was well beyond our expectations. First class from beginning to end - thank you Fairways and FunDays. I just played Esker Hills this past weekend. A truly incredible experience on a well manicured course. Fairways and FunDays helped us organize everything to ensure it all went smoothly and I highly recommend their entire team! Really happy that we chose to book our Ireland Golf Vacation through Fairways and FunDays. They made everything easy from booking all the way through transportation, lodging, golfing, and answering any questions we had on our trip. Truly an amazing experience! Phil and his team seem to have all the answers, contacts, golf and dinner suggestions anyone could want a vacation in Ireland. The absolute trip of a lifetime with an experienced and friendly tour operator! What an amazing experience. The golf courses were out of this world. The most beautiful and challenging I had ever played. The weather was rainy some days, but other days- perfect fall weather. We were well prepared and it didn't stop us from exploring. One of our days off from golfing, my sister and I went surfing which was unexpected once in a lifetime experience. The historical and tourist places we able to visit were easy to get to with thanks to our drivers. We didn't have to worry about any of the little details. Having our plans in advance made it easy to avoid long lines. Phil was easy to work with and easy to get a hold of if we needed to change/edit plans. We had a memorable and once of a life time experience. Thanks to Fairways and FunDays. Without reservation I highly recommend this company for an unforgettable experience. We will reminisce our recent golfing trip fondly, thanks to the fabulous organisational efforts of Phil, Joe & their team at Fairways and FunDays. Our meet & greet was extraordinary.......it made us feel immediately at ease and welcomed like part of their family. We were met promptly, chauffeured to our hire van, along with great conversation, & with details/questions clearly outlined . Ongoing SMS communications solved any little questions which arose, & their concern for our total enjoyment and wellbeing during our stay was paramount. Our itinerary was superb, both in balancing golf with fun activities, quality hotel stays, excellent golf courses & club hire, fabulous restaurants and sightseeing opportunities, & the variety of tours for me as a non golfer. Daily schedules were clearly and expertly outlined in our itinerary folder, which included local phone cont6ct numbers should we need them. The Garmin GPS provided was easy to use & made driving a breeze. We cannot thank your company enough for being so professional, personal, reliable & caring......while in Ireland, from my first enquiry email sent requesting information, suggestions & costings, as well as contact after our holiday ended. Fairways and FunDays has been the best company yet, to organise a trip on the Internet from halfway around the globe. Emails were promptly returned and payment options excellent and secure. Congratulations for organising such a wonderful golfing trip! We hope to return to Ireland again! My wife and I and friends have just returned from a vacation of a lifetime thanks to Phil O’Carroll and his Fairways and FunDays crew. The golf courses chosen by Phil were terrific, and the sites we visited were spectacular. I cannot say enough about the intricate planning and attention to detail by Fairways and FunDays that made this vacation such a huge success. Phil met us personally upon our arrival, and was in contact with us during our stay to ensure that all of our needs were met. If you are planning a trip to Ireland (and you should! ), don’t even consider any other tour operator. We have been around the world on many vacations, and I can say without reservation that Fairways and FunDays is the best tour operator that we have ever used. Throughout my career in sports and business i have travelled the world. from recent experience I can honestly say that Fairways and FunDays are the most professional travel company that I have ever dealt with. Phil and the team at Fairways and FunDays organised an incredible tour for 20 of my Villanova University Alumni friends and partners. The tour included great golf, superb sightseeing, magnificent hotels and amazing evening entertainment. Fairways and Fundays organised a spectacular itinerary for both golfers and non-golfers and they included so many surprises along the way that made this tour really, really special. Our group collectively agreed that this was the best organised tour that we were ever on and plan to appoint Fairways and FunDays to organise our next reunion tour in 2018. From the moment I contacted Fairways and FunDays their attention to details was extraordinary. they took the worry away so much that all we had to do was show up. Fairways and FunDays had every single aspect of our tour carefully planned so we could focus on our golf and thoroughly enjoying ourselves. I would definitely recommend Fairways and FunDays to anyone considering a golf and leisure vacation to Ireland. there is no doubt, they are the best. Thank you very much for the great service and attention to details on our trip! We would be happy to recommend you anytime. The trip was outstanding, everything went really smoothly. The golfing and accommodations were 5* as well as every aspect of our trip. This was a great experience for me and my team mates and those that brought their wives. We played golf throughout the Northwest of Ireland at Connemara, Westport, and the most beautiful course, Carne in Bellmullet. While Carne is a longer drive it is more than worth it. The evening activities, lodging at the Westport Hotel and professional driving services were all top shelf. Good enough that we have a larger crowd planning to come in Summer of 19. I did a golf trip combined with sightseeing for 10 days. my wife and 2 boys (ages 22 and 24) joined me on this trip/experience of a lifetime. I cannot say enough about “Faiways and FunDays.” superb!! without doubt, the best I have dealt with. We played 4 of the top 100 golf courses in the world. I would have paid 3 times as much for the golf if I have done it myself. Royal Portrush , Portstewart , Waterville, Ballybunion, Tralee and Lahinch are courses that keep you humble. Our accommodation was 5 star. Phil O’Carroll is the man behind all of this. What a pleasure to deal with this friendly man : always polite, responded immediately many times, came to meet us in person after arriving in Dublin, kept in touch throughout our trip to make sure we have everything we needed. Thank you Phil and your team. We will see you again. Awesome, Fairways and FunDays did an incredible job from start to finish. the whole team was an absolute treat to be around, and travel with. there is no better way to see the irish countryside. Hands down, the best way to travel ireland! we were able to sit back, relax and enjoy the beautiful ireland scenery in the comfortable transportation and accommodations. we toured some of the best sites in ireland including the Guinness Museum and the Cliffs of Moher, and met some of the most amazing people along the way! i would recommend Fairways and FunDays to anyone traveling to ireland to gain the most amazing experience, like I did. Our week in ireland would not have been the same without Fairways and FunDays, planning everything was an ease and our schedule was completely personalized and accommodating to multiple parties arriving on different days. Our drivers were awesome and definitely made our experience the best possible! I would totally recommend Fairways and FunDays to anyone looking for the full experience of the best Ireland has to offer. thank you for making our family vacation the most memorable one!! Just came back from a trip of a lifetime. Fairways and FunDays made us feel like royalty from stepping off the plane to the hand shake and a hug from our driver/friend Maurice at the airport catching our homebound flight, the accommodations, food, golf courses and sightseeing were top shelf. Phil our Tour Director was in constant touch with us making sure things were to our liking. Golf courses were magnificent not one glitch…..pure professionalism. Thanks Phil and Maurice you made a bucket list trip truly special! On a friend’s recommendation we used Fairways and FunDays on our recent trip to Ireland and they (Phil & staff) were phenomenal! Every detail was taken care of and our transportation , accommodations, restaurants, tours and golf courses were first class. We covered an awful lot of ireland in 7 days and there was never a glitch. I would highly recommend Fairways and FunDays and hope to use their services again soon. Our itinerary in ireland was complex, with seven people starting off on a golf tour followed four days later by eleven more friends to form a soccer team playing in Killarney and Newbridge. Fairways and FunDays were more than up to the challenge. The golfing portion of the trip was covered with a luxurious microbus driven by Kevin, a warm and polite young man with great sense of humor. the soccer portion was handled by don dowling in a very comfortable bus. Don regaled us with many stories of the killarney area and countless trivia about Ireland. By the end of our trip my friends all agreed that our interactions with Kevin and Don were as integral to our enjoyment of Ireland as any other aspect of the trip. Phil O’Carroll and the team of Fairways and FunDays, did an amazing job not only of handling all logistics, but also making strategic recommendations on trip routing and sightseeing. Phil also spent hours of his own time helping us track down a lost golf bag (which it turned out had been in our possession all along), and a lost jacket. every one of my interactions with Phil cemented in my mind the pride he takes not only in his business but in presenting the best face of a country he is so justifiably proud of and passionate about. 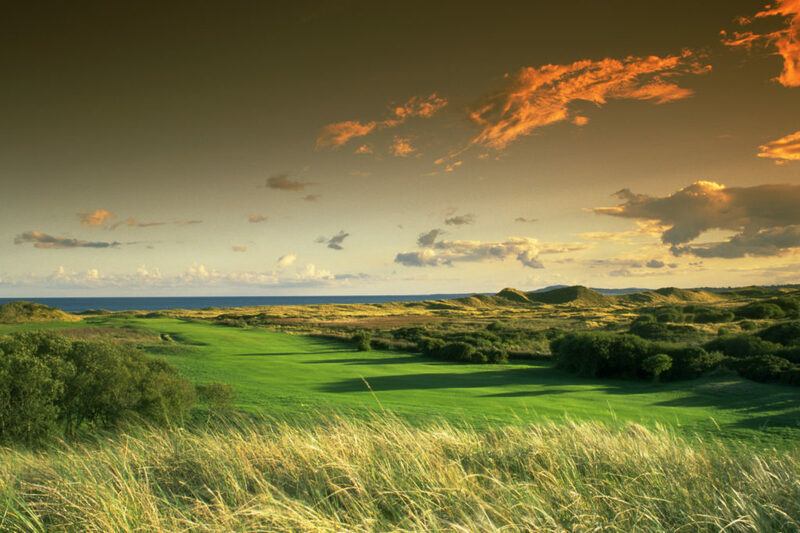 My sixteen friends and i would not hesitate in recommending Fairways and FunDays as your ground organizer in ireland. it will be the best trip decision you will make. Incredible organising of a very complex Tour! Thanks for the golf trip of a lifetime! the planning and attention to our needs, pocketbook and individual quirks were amazing. We were eight guys coming from different parts of the USA and you made it easy for everyone. We had one player who came over early and you met him at airport with Irish hospitality and got him to his hotel with no problems. You greeted the rest of us, along with best coach driver (Kevin), anyone could get for the entire trip. The gifts upon arrival were over whelming, but tasty and needed after long trip. The golf courses, hotels and tours were tops. My favorites were Lahinch and The Island courses. All the courses(5) we’re terrific. Fairways and FunDays receive 5 star+ reviews in all areas! Thanks Phil and Kevin for memories of a lifetime! My wife and I have travelled extensively over the past 10 years and can say unequivocally that Fairways and FunDays has been the “Best” Travel company that I have had to deal with. Our group of four wanted some good golf (played Ballybunion Old Course), sightseeing, brewery and distillery touring, comfortable accommodations and worry free transportation. Fairways and FunDays delivered on all fronts. 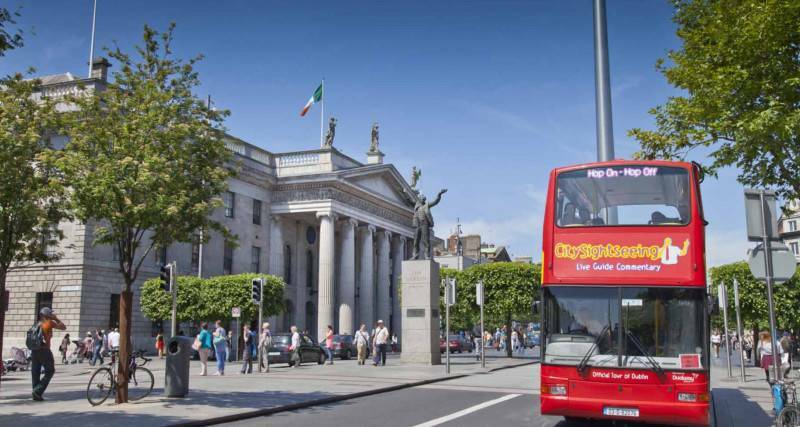 We were met personally at the Dublin Airport upon arrival by Fairways and FunDays personnel and the trip itinerary was provided immediately to us in an easy to carry binder with passes for all of the sites that we visited. We were able to change any of our plans by simply contacting the Fairways and FunDays personnel who took it from there. Equally impressive was the fact that through our driver, we were contacted at least 3 times by their staff to check to see how the trip was going and was there anything else that could do for us. Thanks to Phil and the Fairways and FunDays team for your excellent service and for making our Ireland trip a most memorable one. The Best Travel company we have ever worked with! We have experienced two outstanding vacations with the guidance of Phil and his team at Fairways and FunDays. No matter the setting, whether golf centric or a family trip with a bit of golf, Fairways and FunDays complete understanding of our desires and Ireland ensured we experienced the best that Ireland had to offer. The level of planning and documentation the staff put in prior to our trip enabled us to sit back and enjoy the golf and sites that only Ireland can provide. The Island, Carne, Druid’s Glen, and Lahinch are all once-in-a-lifetime courses let alone once-in-a-single trip (and these weren’t all of the courses we played)! While we played, the rest of the family enjoyed a robust schedule of many attractions and events that left all of us with the feeling that this was a vacation that will never be equaled (until the next time we use Fairways and FunDays when we come back to Ireland)! Just returned from an epic vacation in Ireland planned by Fairways and FunDays. This operator was recommended by a friend who used the company last fall and they did not disappoint! The team communicated with me from the start to ensure that our week was personalized from the golf to the sightseeing. This communication continued through our travels whenever we needed anything and enabled us to sit back and enjoy our vacation. Our drivers were fantastic as well. Kieran and Pat were both personable and professional throughout the week. 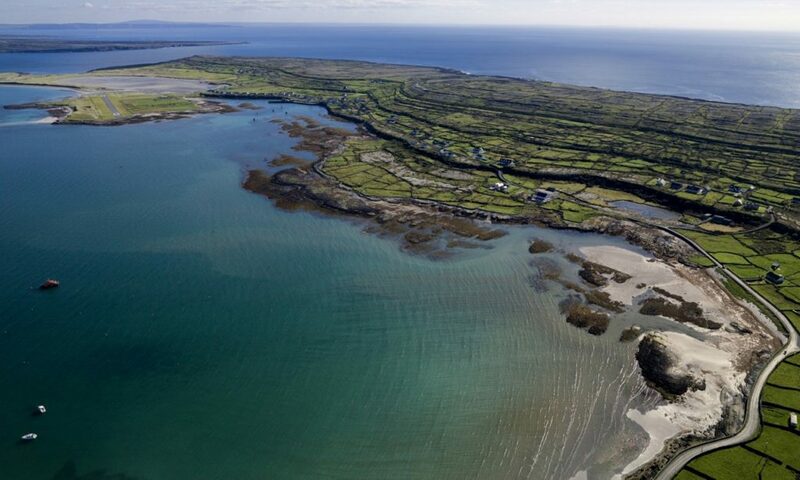 i would recommend Fairways and FunDays to anyone who desires a memorable Ireland vacation. Phil, just a short note to thank you and your team for a great trip . The golf was fantastic and your choice of hotel and restaurants in Westport was special, ending most evenings at Matt Molloys was great fun. We look forward to seeing you next year. I can say without question Fairways and FunDays have done the best job preparing my family for our visit to Ireland than I have every had from any other company for any other trip I have ever done. Your suggestions met and exceeded our expectations at every turn. Your personal touch with the gift basket was very much appreciated during our travel. I will definitely come back to see the parts of Ireland i missed on our short trip and will have Fairways and FunDays arrange it again. I have also recommended Fairways and FunDays to everyone who asks me how my spring break was and they are amazed. My only complaint is that you only do Ireland. I wish i could find a company like yours in all the other parts of the world I want to travel to. Thanks again for your hospitality and putting together a trip that represented a beautiful country and its friendly people. Exceeded our expectations at every turn! Let’s give Marie and her team a great thank you for planning and executing a wonderful adventure for all and our spouses. Marie, it was such a pleasure to have you organize our vacation. Clearly Fairways and FunDays Ireland is on a great path to success and our group wishes you all the best as you expand your business. Let’s just say that every detail of the trip was spectacular and we truly appreciate the effort by Fairways and FunDays Ireland. Every detail of the trip was Spectacular! On behalf of myself and my family and fellow travelling companions i want to sincerely thank the staff of Fairways and FunDays for organising such a memorable experience. From arrival to departure we were treated like royalty and the peace of mind of having all aspects of our stay arranged in advance allowed us to really enjoy every moment of our time in Ireland. Thank you so much Fairways and FunDays. We would have no hesitation in recommending Fairways and FunDays to any of our friends and family who are thinking of vacating in the beautiful Emerald Isle. From arrival to departure we were treated like royalty! Joanne and i want to thank you for putting together a great and memorable experience for us and the “boys.” Obviously the logistics of pulling together something like this can be overwhelming, but you and your staff executed flawlessly. From the coach with Owen (he was great! ), to the hotel, the meals, and finally the golf, it was perfect! I will definitely recommend you and Fairways and FunDays for anyone i know that is planning a trip to Ireland. The Coach, the Driver, the Hotel, the Meals, and finally the Golf – it was Perfect! Thank you to Fairways and FunDays for your arrangements. We had an incredible time on our tour in Ireland. Thanks for all your preparation on our behalf to make the trip go smoothly. We really had a great time and enjoyed Ireland very much. I will suggest you and Fairways and FunDays to anyone i know planning a visit to Ireland. I, myself hope to return within the next few years. I will be watching the Irish Opens in the future with a greater appreciation and understanding of the climate, courses, and challenges the pro’s face. Thank you for everything. The itinerary that your team prepared could not have been more enjoyable. The itinerary prepared could not have been more enjoyable! Individually and as a family, i have travelled extensively. I have used many different travel/tour agencies as well as planned many of my own trips. I honestly have to say the Fairways and FunDays has to be one of the best tour companies that I have seen. The attention to detail and the consideration to our needs as individuals and as a family was amazing! They set up activities and tours that I would have never booked on my own that turned out to be incredible experiences. I did not know what to expect when I originally had booked the trip with them, but I was short on time and needed to get something booked. When they greeted my family at the airport with their warm Irish welcome, I knew that I had made the right decision. It was one of the best decisions I have made from a travel perspective. I am a perfectionist and that is what I received. The detailed itinerary made the trip easy with a neatly organized binder with all appropriate paper work. I can not say enough good things about this company and people behind it. My only regret is that Fairways and FunDays currently only book trips for Ireland! thanks for everything! My first impression about Fairways and FunDays was very good. To offer us exactly what we wanted! Fairways and FunDays was the only one to organise a call with me at the beginning. During this call, I was offered very good advice and a range of options were discussed. After this call, the tour that was offered in 28 page proposal was fantastic. There were some amazing visits and entertainment that we would not have thought of and we got to play 4 incredible golf courses. We had a lot of requests that were very quickly done by the Fairways and FunDays team. When we arrived at Dublin Airport what an amazing surprise to see Fairways and FunDays waiting for us with a “caddie” full of gifts, irish food and drink, golf accessory packs and a magnificent tour commemoration piece. During our stay in Ireland we had a fantastic time and all 4 of our group are very very happy with our 5 days in Dublin. Thank you Fairways and FunDays for everything. We cannot recommend Fairways and FunDays highly enough. We cannot recommend Fairways and FunDays highly enough! On behalf of our family and friends, we would like to thank the whole team at Fairways and FunDays. Their website says “12 reasons to book with Fairways and FunDays,” but i can think of many more. Every year we hold a family get together involving our family and close friends. There are 20 of us in total and as you can imagine this is very important to us. The Fairways and FunDays team did everything for us, no stone was left unturned and we all had one of the most memorable holidays ever, pure relaxation, totally hassle free and so much fun! The golf was superb, the activities for young and old were so well thought through and the evening entertainment was truly fantastic. This trip created very special memories and I expect our family and friends will talk about it for many years! It is safe to say that having booked with a number of companies in the past, we will not be booking with anyone other than Fairways and FunDays in the future. My wife and i, and our friends had a fantastic trip with Fairways and FunDays. The tour had an amazing mix of golf and culture and was perfect for our group of golfers and non-golfers. We´ll never forget playing in Connemara and watching the beautiful views from the course. a breath-taking experience. I would highly recommend Fairways and FunDays to anyone considering a golf vacation in Ireland. We used Fairways and FunDays to organise a recent family reunion to the east of Ireland in October 2014. We had a wonderful experience! We were hugely impressed by the expertise and local knowledge of the Fairways and FunDays team when deciding what to do during our stay. Unforeseen circumstances meant that we had to amend part of our trip at short notice and the staff at Fairways and FunDays were fantastic in assisting with this request. We received a very warm welcome from Phil in the hotel with a full list of our itinerary and a wonderful welcome gift for everyone in our very large party. The hotel was fantastic and really suited our needs as a large family, and the tour bus driver was professional, knowledgeable and very entertaining! We were hugely impressed by the fact that Fairways and FunDays organised activities to suit all ages in our group including amazing golf, theme park visits, shopping, sightseeing and fantastic evening entertainment. this was an unforgettable family reunion. The excursions that were reserved for us all worked out really well and we were delighted with the wonderful hospitality that we received in every one of the locations. and as for the tour bus driver - superb! 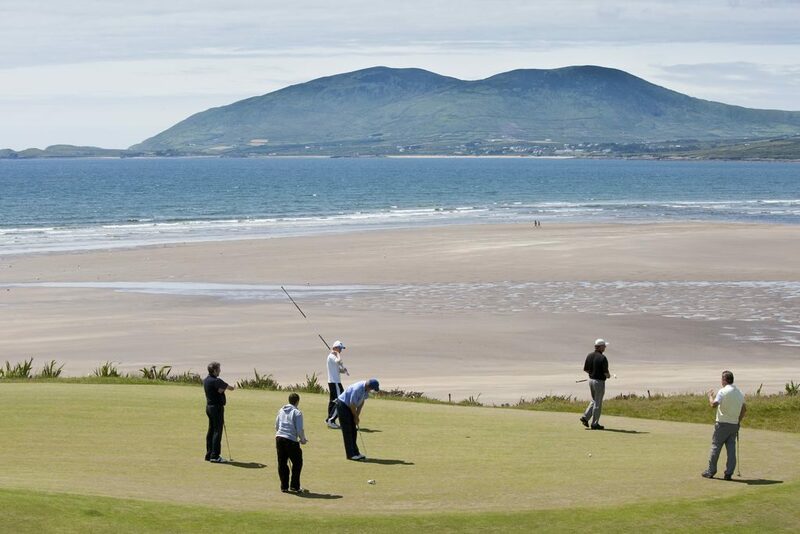 We would gladly recommend Fairways and FunDays to any prospective visitors to Ireland. This was an unforgettable family reunion! An incredible experience from the time we arrived in Ireland until we departed. Our only complaint is that we didn’t want to return home! We didn’t want to return home! Spectacular trip to Ireland. Phil and his team took care of everything from the moment we arrived at Dublin Airport until we departed out of Shannon Airport some nine days later. We had a group of eight couples in which the men would go golfing in the morning while our wife's would do sightseeing in nearby locations. Later in the afternoon we would all meet up for more sightseeing, entertainment and dinner. For first time golfers to Ireland, be sure to include as many links courses as possible in your package since nothing compares back here in the United States. I and others who went on the trip are planning another trip back to Ireland and for sure will pick Fairways and FunDays to take care of all our travel needs.